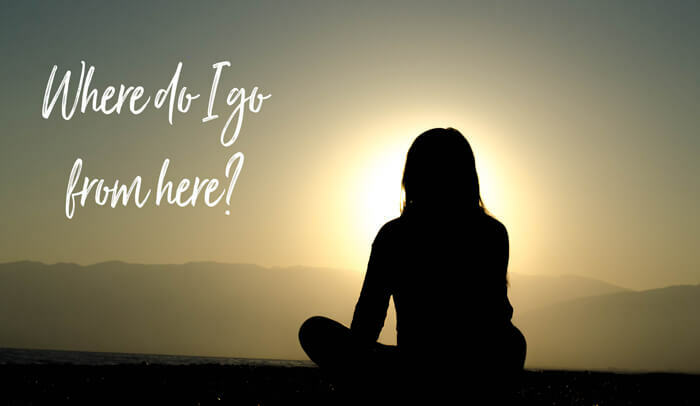 Why on Earth are we here? And how do we best use the short time that we have in this life to make our mark? I think Oprah said it as well as it could be said. "Start embracing the life that is calling you. you —in your own way—can illuminate the world." We all have to have a sense of our purpose because without it we tend to lose our way. Life happens to us instead of making the life we want. I know when I am clear on my path, I have a greater sense of optimism and can better handle all the good and bad that life throws at me. And I generally get where I want to go. 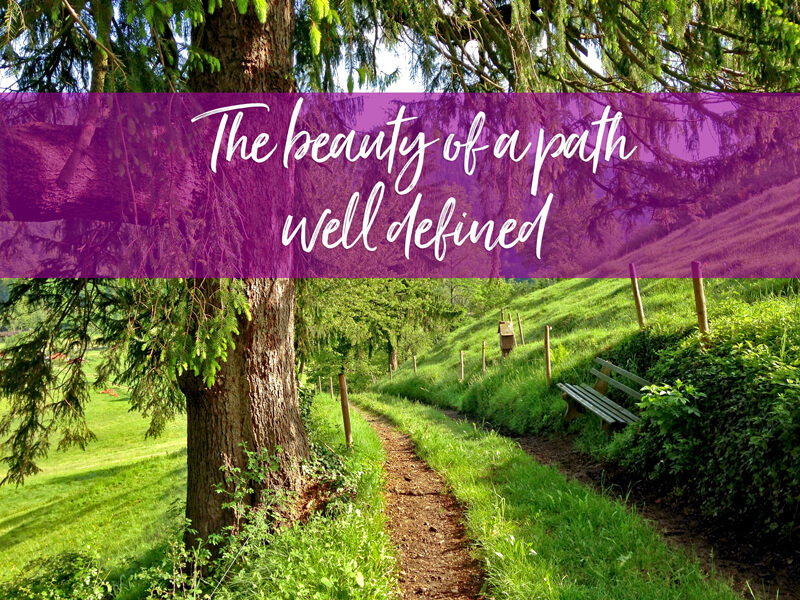 When I lost my husband back in 2010, I single-mindedly knew my immediate path was to do everything I could to be strong as a parent and set an example that my kids and I could not only survive but thrive in the face of great loss. That purpose may have helped my kids but it absolutely saved me. A higher purpose is everything. And the same is true in business. We think about our purpose A LOT at K. Renee. And we spend most of our Friday morning all staff meetings talking about what it means and how to better fulfill its promise each and every day. About four years ago, we developed our brand statement, purpose and the core values that support our vision for K. Renee. As you walk into our store, you will see our brand statement boldly expressed on our exterior. 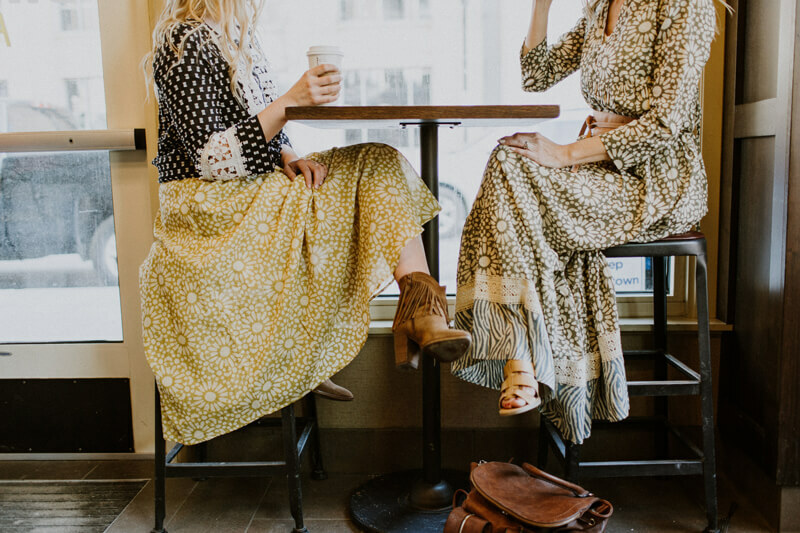 Living Life Beautifully as a brand statement is a simplified version of our purpose—why we actually devote ourselves to this beautiful business. Enough already, right? Just what is our purpose? Just why do we believe this is so important? 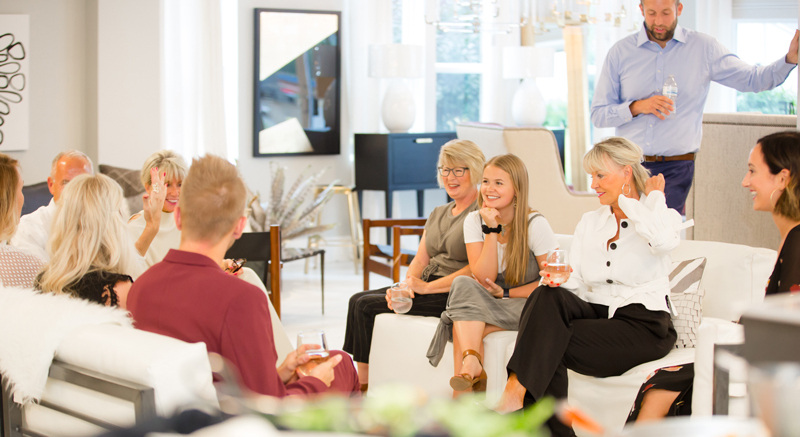 I think it's because we are all (The K. Renee Team) so personally connected to the much-needed positive energy that is endlessly created when we walk into our own homes. It not only lifts our spirit with its beauty but wraps us in comfort. It makes a huge difference in the quality of our lives and our interactions with other people. And we want that same thing for our clients. We also know that when we love what we are wearing, we feel more like the best version of ourselves - no matter what the occasion. There is an intangible sense of confidence that arises when we are proud of ourselves. Now don’t get me wrong, I don’t believe in dressing to impress others. Who cares what anyone one else thinks? Being your best self is about tapping into to all of the resources that give us a positive energy boost. And we are that resource. We truly want your confidence to shine no matter who you are or what you do. Our purpose is the backbone of our business and we fight for it each and every day. We fight for it because complacency is not anyone's friend. Complacency is this sneaky thing that disguises itself as comfort. A purpose is a powerful force - and we choose every day to be a force for good and light as a business. Why am I sharing all of this? Well, first, I wanted you to know us better and to hold us accountable to our promise of inspiring you. And second, it is part of our own desire to continue to build on the satisfaction of where we are at today as a business and for what possibilities that tomorrow brings. We want to DO more and BE more. We don’t sell clothes, we create wardrobes that flatter and build confidence. 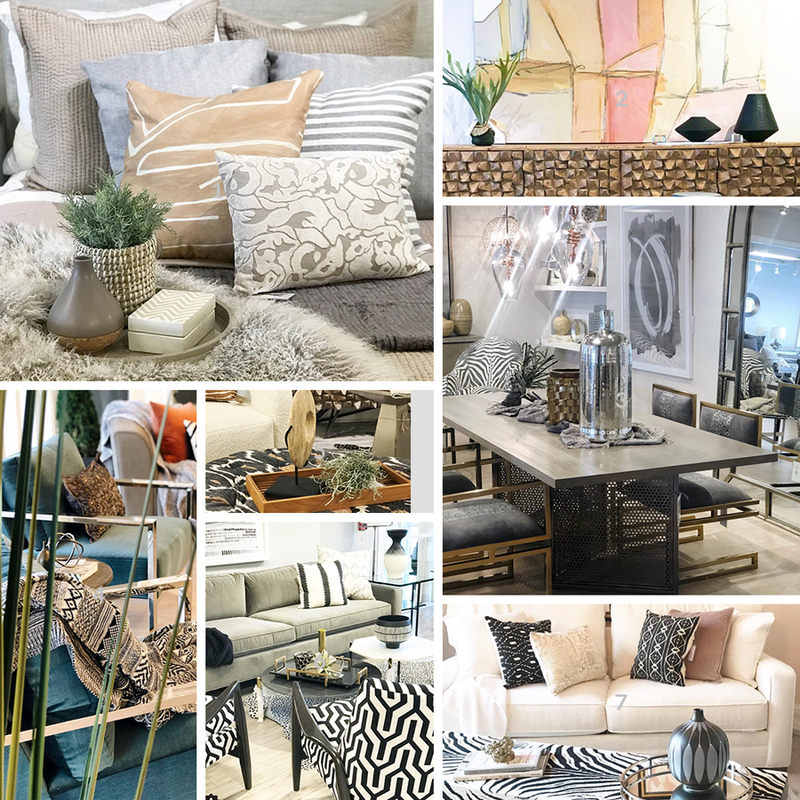 We don’t sell furniture, we create scenes in our showroom that are meant to inspire our customers. And from this inspiration, we design and style rooms in your homes that you can’t wait to see at the end of a long day or wake up to the next morning. It’s our purpose and we are honored with the opportunity to share it with each and every person who walks through our doors. 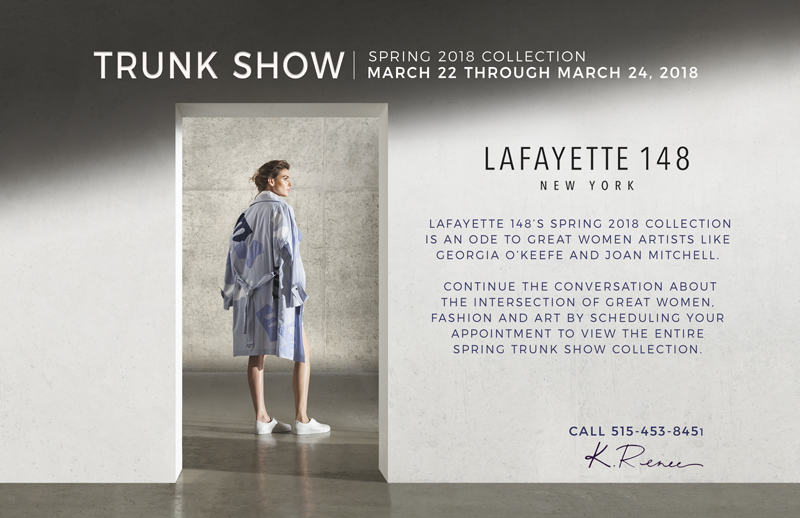 We have had a long-lasting relationship with Lafayette 148, New York and twice a year we get the opportunity to hold a seasonal trunk show. And I am excited that the inspiration for the spring collection is strong, artistic women! 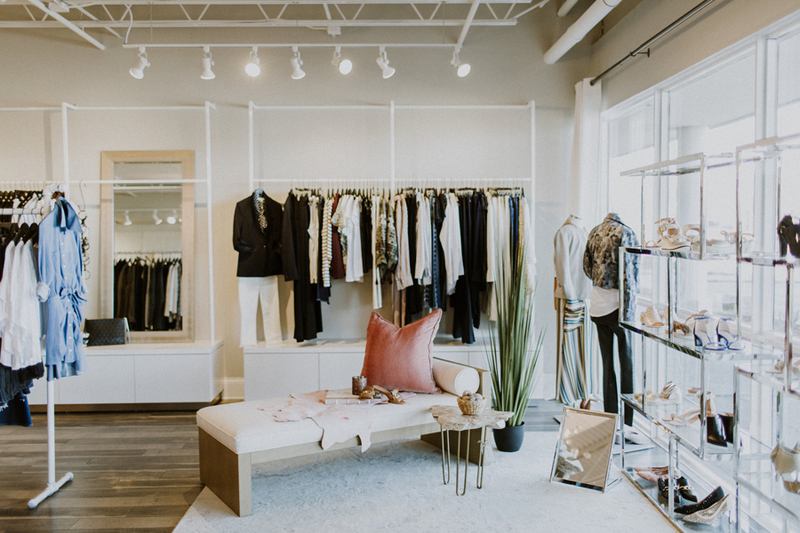 With an appointment with one of our stylists and our New York brand representative, Jessica Warden, you can curate specific looks for all kinds of occasions from dressy to casual. 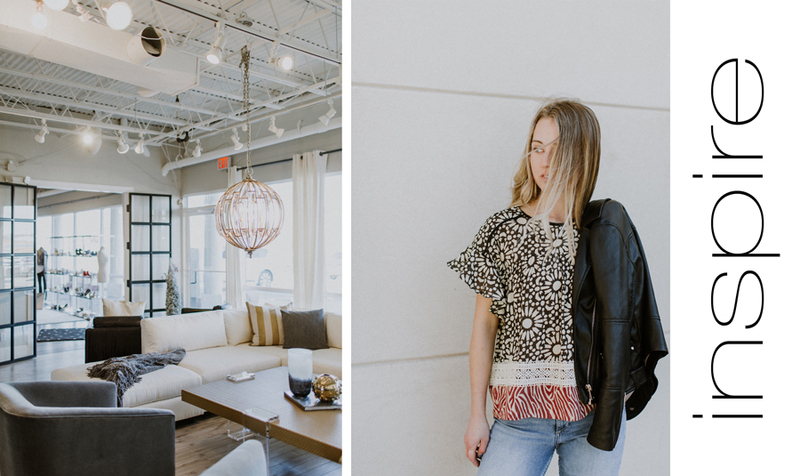 Take a look at this video below, and if you are interested in the fabulous looks you see...give us a call at 515-453-8451 and set up your appointment. Have a wonderful but purposeful week. "A Beautiful Resort in Our Own Home"